Reduce Allergens With Our Air Filters! We Make it Easy and Convenient to Purchase your Air Filters Online! Pollutants that cause allergies can build up in indoor air as it is recycled through a building’s air handling system. According to studies by the U.S. Environmental Protection Agency, indoor air contains pollutant levels that are two to five times higher than levels of those same pollutants in outdoor air. Although you may not notice the airborne hazards in your home or business, they can cause a variety of problems ranging from seasonal allergies and asthma to life-threatening conditions. Dust, mold, pollen and pet dander are among the common allergens found in indoor air. Mites and mold spores are particularly pervasive allergens that can thrive in the same environments where you live and work. Even the materials used to construct and decorate buildings can release substances that cause mild to severe respiratory, eye and skin irritation. High-quality air filters offer significant protection against these allergens and irritants. While lower-quality filters often shed fibers and release contaminants back into the air, AirFiltersNW filters are designed to maintain their integrity and remove impurities. ChemTrace, a scientific testing company in California, certifies that our filters have the lowest fiber shed and contaminant release rates. 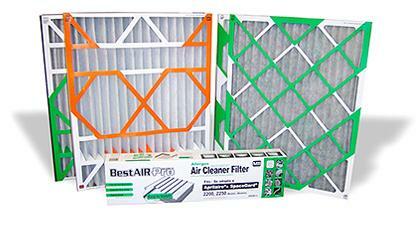 You can depend on AirFiltersNW filters to maintain excellent air quality in your home and your business. © 2019 AFNW | Air Filters Northwest, Inc. All rights reserved.